Get paid fast and improve your cash flow. Save time with automated payment reminders. 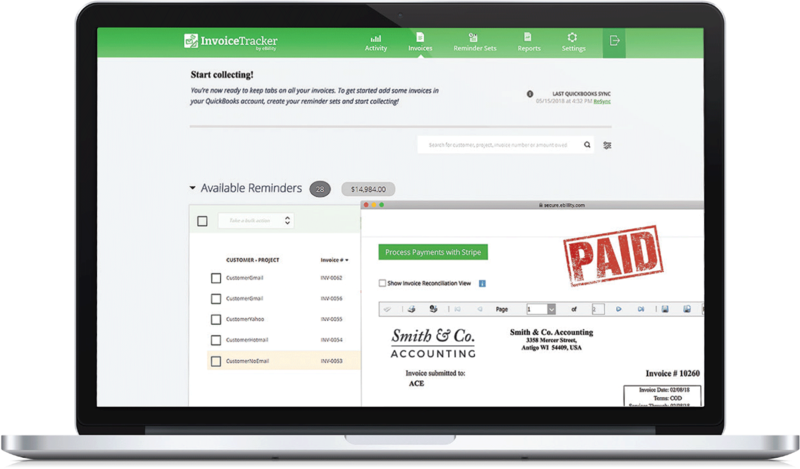 Invoice Tracker's automatic email reminders follow up on unpaid invoices so you don’t have to. Never send another frustrated spur of the moment email again. The carefully drafted and editable email templates are also customizable, make them personal by adding your logo and signature, and add variables like 'client name' 'amount due' 'invoice number' and 'due date'. 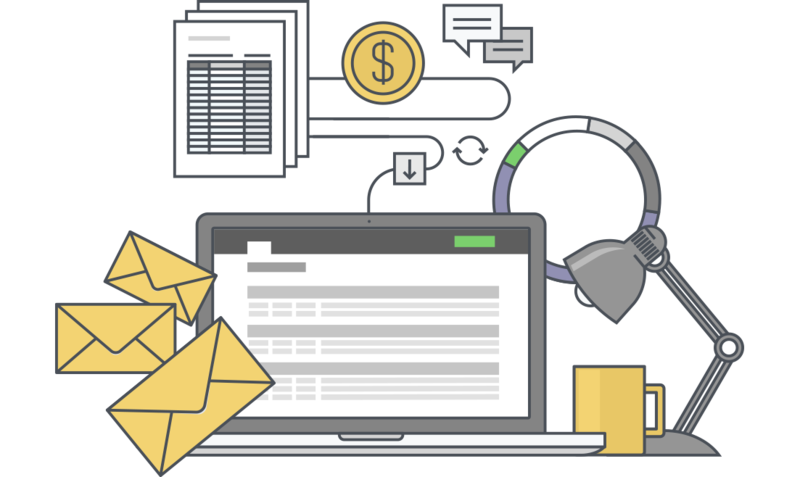 Invoice Tracker also syncs automatically with your accounting software so emails stop sending as soon as a payment is made. Easily connect your accounting software in just 4-clicks. It takes less than five minutes and with free support, we'll even do it for you. Don't use QuickBooks or Xero? Try eBillity’s Time Tracker +Billing to track time and expenses for client invoicing and when you activate your Invoice Tracker account we'll give you an additional *90-day trial of Time Tracker +Billing for free. Now you can track time, bill clients and collect money fast. Step 4: Activate Invoice Tracker at the end of your trial and your Time Tracker +Billing account will automatically extend 90 days. Easily select the date and time to send. "When looking at automation apps to help with our accounts receivable we researched and tried many before deciding on Invoice Tracker. Its simplicity and ease of use made it a winner for us. The results in reducing aged debtors have been great and the team now has time to focus on other important tasks."